Home » tech news » No smartphone, no opinion. Does Narendra Modi App survey result represent the real India? No smartphone, no opinion. Does Narendra Modi App survey result represent the real India? No smartphone, no opinion. Does PM Modi's app survey result represent the real India? Prime Minister Narendra Modi's 8 November announcement of demonetisation of Rs 500 and Rs 1,000 notes has basically drawn two reactions: gushing love and praise for being a nationalist or major hate and allegations of being a supporter of black money. Opposition leaders have joined hands to protest the move, which has also been linked to at least 60 deaths across the country. The BJP is of course saying that the Opposition supports black marketing and is thus opposing the move. 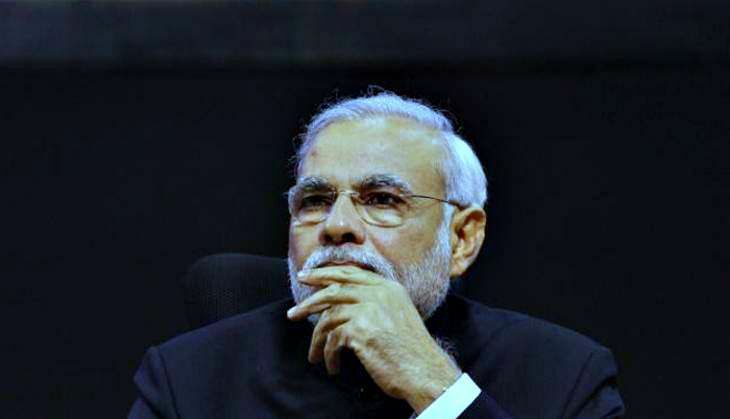 "Do you have any suggestions/ideas or insights you would like to share with PM Narendra Modi?" "Do you think black money exists in India?" "Do you think the evil of corruption and black money need to be fought and eliminated?" "What do you think of government's move of banning old Rs 500 and Rs 1000 notes?" The survey has thrown up some interesting facts. In just over 24 hours, around 5 lakh respondents took part in the exercise. As per the data released by narendramodi.in, 90% of the respondents feel that the government's move to curb black money deserves an above 4-star rating. About 73% gave it five stars. On the overall fight against corruption, 92% participants gave rated the government as 'very good' or 'good'. Almost 57% of them responded rating the measure as 'very good'. The Prime Minister's website has released an official statement on the findings, while also asserting that only 2% of the total participants viewed demonetisation negatively. With the PM's move to seek feedback, the Narendra Modi app has become one of the most-downloaded apps on both, the Apple App Store as well as Google Play. Does the data represent public sentiment? The data provided by the app appears to paint a rosy picture of the demonetisation scheme. If the results are to be believed, then it would appear as though a majority of the Indian public is excited about the scheme. Many of these appear to be willing to face inconvenience and long queues for the greater good. The survey does not take into account the rural Indians, a segment of the Indian public which is the hardest hit by the PM's sudden decision to siphon liquidity from the economy. And of course, does not own smartphones. According to the survey on the Narendra Modi app, 93% Indians support the note ban. But who are these respondents? As of 2016, India is home to 220 million smartphone users. This mostly comprises people from semi-urban and urban areas. The 'Indians' here do not include the rural population, below poverty line citizens, and people who form the informal segment of the economy. These groups are not represented in the survey. Rural areas dominate the feature phone market - with over 50% preferring feature phones over smartphones. Many of those residing in rural areas are unlikely to know of the existence of the Narendra Modi app. "No smartphone, no opinion" would therefore, be the best way to sum up the survey.